I have wanted to move for a while now as since having our third child our home is way to small and we need somewhere bigger. Knowing that we will be moving in the near future has meant that my current home is getting rather neglected, as I don't see the point spending lots of time and money doing it all up if we won't be around long enough to enjoy it. I did, however, decorate most of our home two and a half years ago when I was pregnant with Sophia and we managed to decorate everywhere apart from our bedroom. At the time I cleared the room out, stripped it and then never got around to getting it decorated. 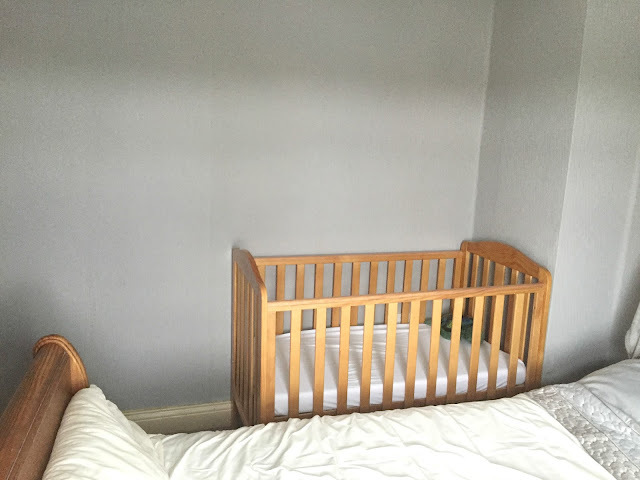 After Sophia arrived I was busy with a newborn before falling pregnant again just five months later, resulting in the undecorated bedroom getting left undecorated. Budget bedroom makeover before and after photo. 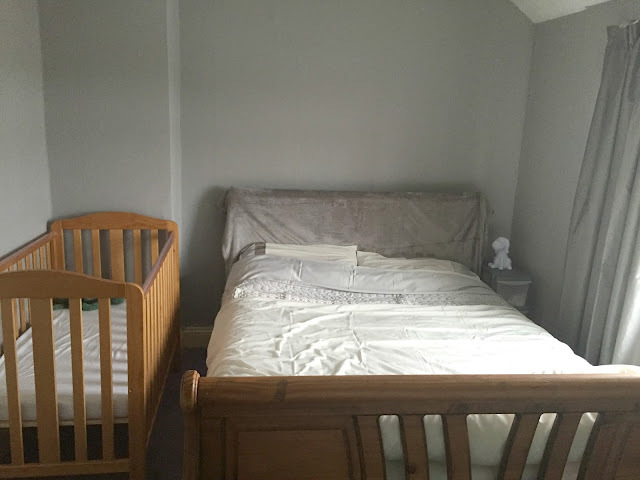 As no-one ever went in our room apart from us we ashamedly let it get into a state, as it turned into a bit of a dumping ground full of boxes and clutter. The room felt cramped as we also have a cot in our room as well as our king-sized bed. As it was undecorated and unloved it was a room that no one liked to spend any time in, we used it purely for sleeping. I kept wanting to decorate but never actually got around to doing anything about it so it has stayed looking uninviting, cluttered and unloved for years with mismatched bedding and bare walls. 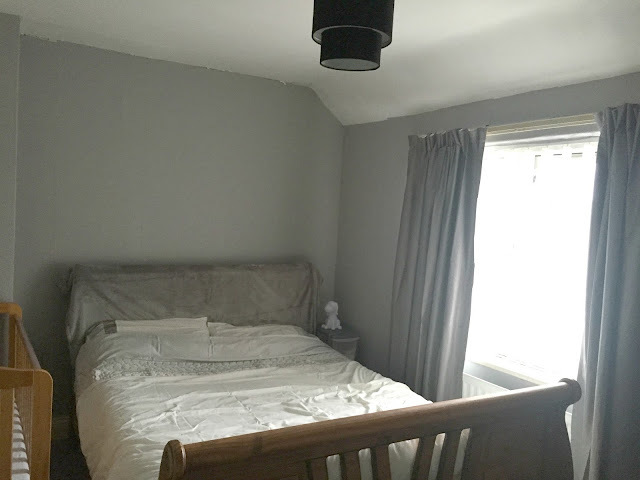 However help was at hand as I was recently giving the challenge of spending £100 on giving my room a makeover with expert advice from interior designer Joanna Thornhill, on how to transform my dull bedroom into a nice grown-up calming bedroom that we could enjoy once again. 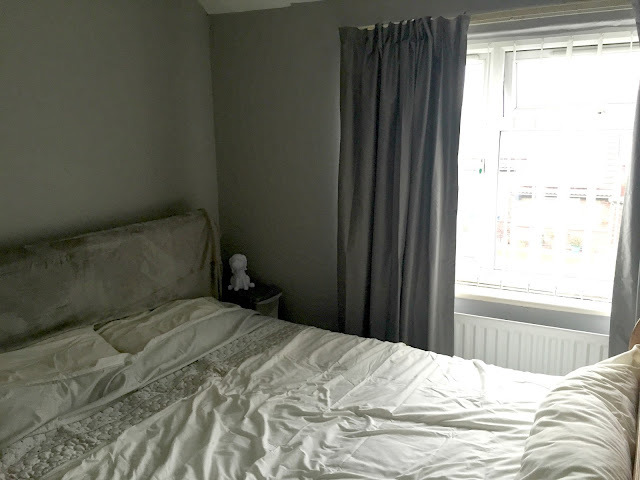 Originally I thought that I wanted the room white with monochrome accessories and the odd splash of colour to brighten things up a bit, however, after spending hours on Pinterest browsing bedrooms I decided that I wanted grey walls with white bedding as it looked so relaxing. Joanna offered me some tips to get started on my room such as having my walls plain to give us a blank canvas. Buying a large rug can help to freshen up a room and is cheaper then a new carpet if you are planning on moving home in the future. Choosing a design in the window dressing that will compliment the bedding and cot bedding. Buying a throw to drape over the headboard to hide the broken slat on it and moving the bedroom furniture around as the room was taken up by the bed. With these tips in mind I got to work firstly I cleared out the whole room getting rid of the boxes and clutter and freeing up a lot of room in the process. I was also lucky enough to be sent some wallpaper from Graham & Brown to celebrate national wallpaper week, as we have never wallpapered before I selected superfesco easy to use wallpaper in destiny. I got to work painting the ceiling and woodwork to freshen the room up a bit before the other half got to work wallpapering the room, instantly the room looked better decorated. Next, we decided to change the room around moving the bed to the end of the room and moving the cot where the bed use to be and the wardrobe near the door. I could not believe how much more space we had by doing this and the room feels so much bigger. 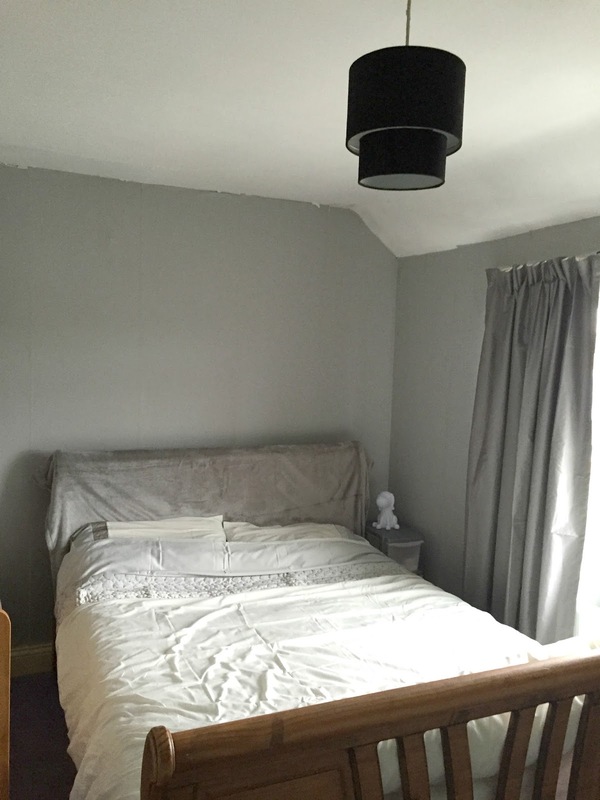 I then brought some new blackout curtains from Dunelm in a nice grey colour. I also brought new bedding also from Dunelm which is white and grey and matches are curtains and walls well. I also took Joanna's advice and brought a grey throw from TK Maxx which I draped over the headboard and is something I never would have thought of doing myself. The bed looks so different by having the throw over it and is such an easy and inexpensive way to transform a bed. I am so happy with how the room looks it is now a lovely room that I would happily spend time in other than sleeping as it is uncluttered, inviting and relaxing. I still have a few things to do with the room such as we want some under bed storage boxes as we don't have much space. I also want a new wardrobe as the one we have is old and doesn't look very nice. I also need to add some pictures to the walls, some pillows on the bed and add some kind of storage unit so that I can add all the little bits and pieces we have that make a house a home. * £20 on decorating supplies such as paint, brushes and paste from Wilkinson's. * £30 on blackout curtains from Dunelm. * £35 on a duvet set from Dunelm. * £4 on a lampshade from Argos. 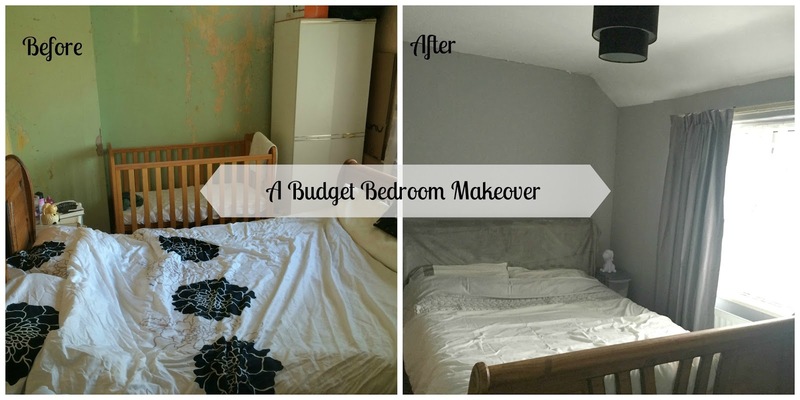 This challenge has shown me that you can transform a room on a budget of just £100 which I never would have thought possible before. I thought redecorating our bedroom would cost hundreds of pounds and that is why I have been putting it off for so long, now I know it can be done I will be transforming more rooms in our home on a budget. You can see the results of some other bloggers bedroom makeovers along with Joanna's tips at www.hillarys.co.uk/bedroom-designs-before-and-after. That looks so much better now....Well done! It's so nice to just make things look fresh and new and it can all be done on a good budget! I really like the colour of the walls. My perfect choice as well! 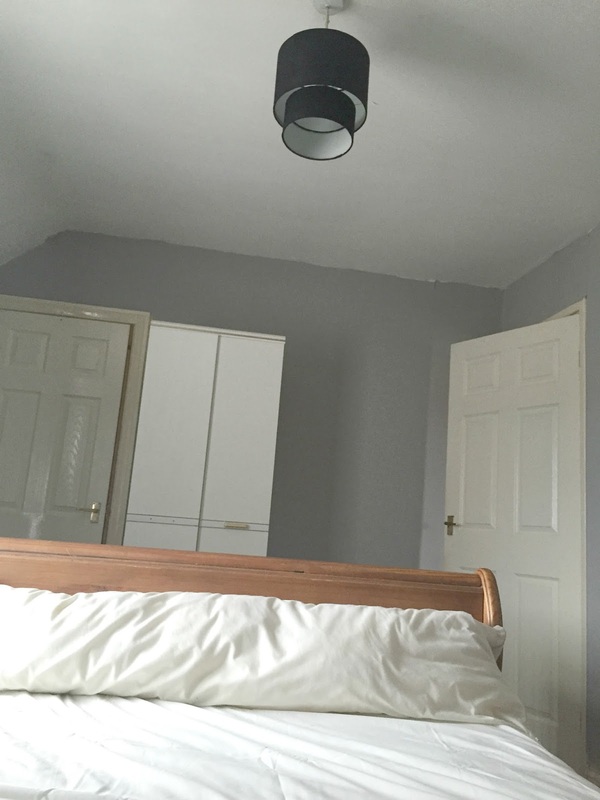 I like the grey decor you have done a great job of renovating your room. Grey is a neutral colour making it the perfect hue for both men and women. Wow, what a transformation for £100! 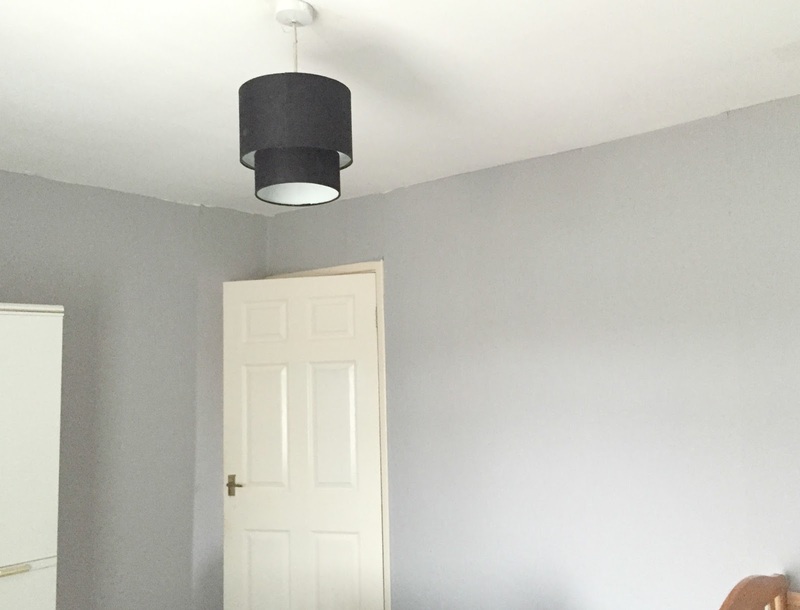 I would never think to paint a room grey but it looks gorgeous. What a transformation - the place looks gorgeous now, very sophisticated and grownup as well as totally relaxing. Moving the bed looks like it makes much better use of the space. What a transformation for a bargain price, well done!